Thankfully, The Predator understands its audience, sprinting directly into the action with an opening shot of a Predator ship crash landing on Earth. Immediately afterwards, the protagonist (Boyd Holbrook), is working on a sniping gig when the ship heads straight for him and his team. It doesn’t take long before the gears start rolling and the Predator starts murdering everyone, which is a goddamn relief. Black knows that no one wants to waste time with elongated exposition, so he made the right decision. Black is one of the best comedy directors in Hollywood, so I expected The Predator to be as funny as some of his other films (The Nice Guys, Kiss Kiss Bang Bang). However, even though some of the humor in the film works, a good portion of it is obnoxious. It uses an intentionally annoying style of comedy seen in a lot of other action films, hurling cheap jokes out there for the sake of a quick laugh. When comparing this to Black’s other films, something definitely felt off, since he usually writes clever quips rather than generic nonsense. Even though the humor can be hit or miss, all of the characters in The Predator are rather charming. Boyd Holbrook is perhaps the most underwhelming performance, as his plays the straight-faced hero man. However, the supporting cast are great fun. Trevante Rhodes’ role was particularly memorable, playing an honorable man who doesn’t seem to care about living anymore. Additionally, the chemistry between Keegan-Michael Key and Thomas Jane is very satisfying, as both are completely insane. The film’s secondary villain is also quite fascinating, making calculated decisions as opposed to succumbing to hubris like your average action antagonist. Unfortunately, the movie ends his arc abruptly, and it’s unfortunate that he didn’t get a more deserving conclusion. Despite the CGI looking gross when the Predator is eviscerating people, it actually enhanced the campy vibe. The tacky effects add another layer of levity to the murder and brutality, as more sophisticated graphic enhancement might’ve made things a bit too tense. However, on the other hand, The Predator’s practical effects are top notch. The Predators in this film look great, and when a mangled body is shown via a real prop, it’s nauseating and awful to look at it. Yes, this is a good thing... sometimes. The Predator doesn’t hold back on letting dozens of people die, which is pretty much what any fan would want, especially since some horror movies are too lenient with the death counter. Additionally, characters die in wonderfully brutal ways. One example occurs later in the film, when a non-important character attempts to use the Predator’s technology against him, throwing some sort of ninja star that returns to rip his arm off. Afterwards, his boss shoots him in the head to keep him quiet. 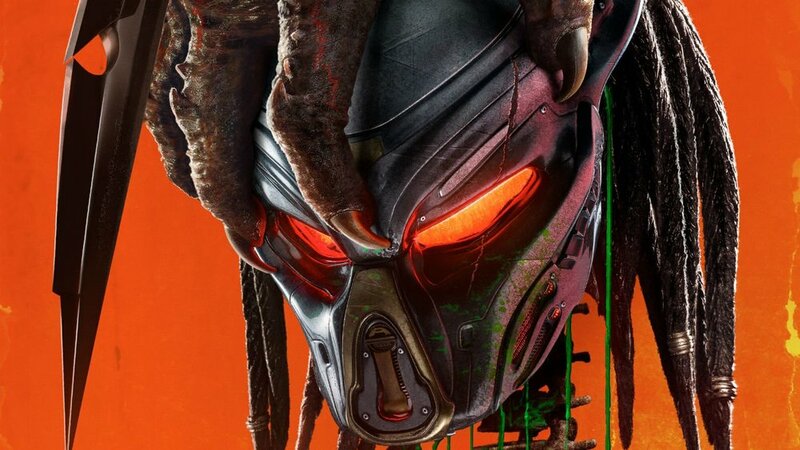 It’s certainly an odd choice to pick a whimsical and Star Wars-esque soundtrack for a movie like The Predator, as the two series’ are complete opposites tonally. The Predators are supposed to be horrifying hunters, and our heroes are meant to be badass with a good sense of humor. Where in this universe does the space journey music fit? While The Predator’s cinematography isn’t bad, the film has few moments that stand out. There’s only one scene I can think of, and the fact that it happened very early in the film made me think that the rest would be as intriguing. The scene presented a corpse hung from a tree, and as a Predator weapon activated, that body gets cut in half with blood and guts landing on a cloaked Predator, revealing his horrifying face. This moment provided a particularly chilling visual, and it’s disappointing that the rest of the film didn’t have more moments like this. The Predator might be a fine movie for fans of the series, but some of its cheap jokes are obnoxious, and too many odd design choices get in the way of the experience.